A San Diego Humane Society official on Wednesday praised the Carlsbad City Council's decision to contract with the nonprofit for the city's animal services. 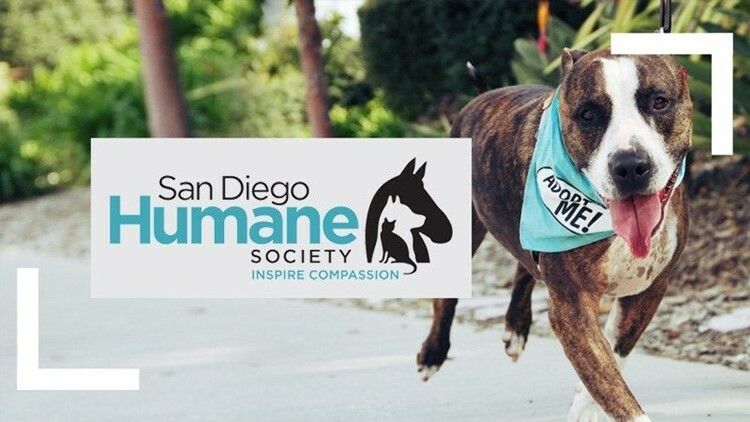 SAN DIEGO (CNS) - A San Diego Humane Society official on Wednesday praised the Carlsbad City Council's decision to contract with the nonprofit for the city's animal services. "The council members were very enthusiastic about bringing us on board. They voted unanimously. So come July 1, we will be joining the city of Carlsbad to provide great animal services for them," said Steve MacKinnon, the Humane Society's chief of humane law enforcement. San Diego County's Animal Services Department currently provides Carlsbad's animal services, but is downsizing the department next fiscal year to only provide shelter and enforcement services in unincorporated communities. Subsequently, a handful of cities in the county are scrambling to replace services. The Humane Society, also expected to fill the city of San Diego's impending animal service needs, will take over Carlsbad's shelter burden of more than 1,100 animals, according to the Humane Society. Apart from San Diego, Humane Society officials are negotiating potential animal service contracts with the cities of Del Mar, Solana Beach, Encinitas and Santee. The Humane Society already provides animal services to the cities of Escondido, Imperial Beach, Oceanside, Poway, San Marcos and Vista.